Abeera Atif is a Communications intern, originally coming from Pakistan. 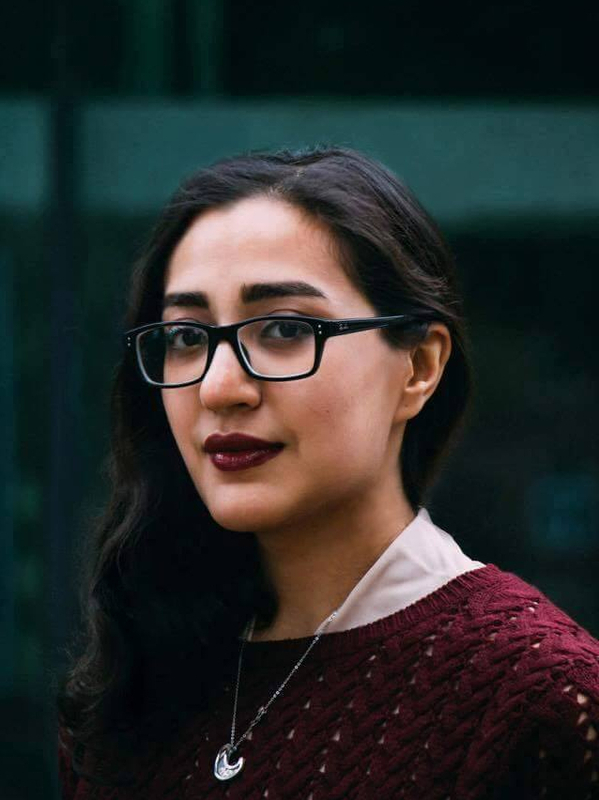 Hailing from Lahore, she came to Germany in 2013 to pursue higher education in the city of Bremen, where she was first introduced to the complexities of welcoming newcomers. In this interview, she talks about her love for Berlin, her work at GSBTB and cementing her interests in migration and feminism. Abeera Atif. Source: Liam Li, Jacobs University Bremen. I came to Germany to study a Bachelors in International Politics and History at Jacobs University Bremen. I had been to Berlin a couple of times before, back when I was living in Bremen. I remember finding the city extremely colourful and magnetic back then, because it had everything I was interested in – music, art, food, Ausländers. But apart from that I also found it a more viable city to find work in, as it has a more accessible social work scene than other cities in Germany. The language barrier is still there but is considerably less than in Bremen; getting involved with volunteering doesn’t necessarily mean you need to speak German (you should still learn German though, if you want to make yourself seem more serious about living and working in Germany). I had joined all these Facebook groups that revolved around getting involved with refugees in Berlin. On one of them – Open English Cafe – I found a post saying that GSBTB was looking for a Communications Intern. I contacted them and met with Annamaria and Vanessa at Refugio and that’s how I ended up here! Volunteers cooking in the GSBTB Open Kitchen. Source: Abeera Atif. What do you do at GSBTB? My job revolves around taking pretty photos of the events (I love taking pictures with old cameras), writing and editing content for GSBTB’s social media accounts and online magazine and just hanging out at all the different projects, basically. I have to admit, a lot of it is pretty fun and extremely rewarding – it’s great to see the motivation of the different migrant communities here, expats as well refugees. Most of the projects, despite being self-organised, come together so seamlessly. 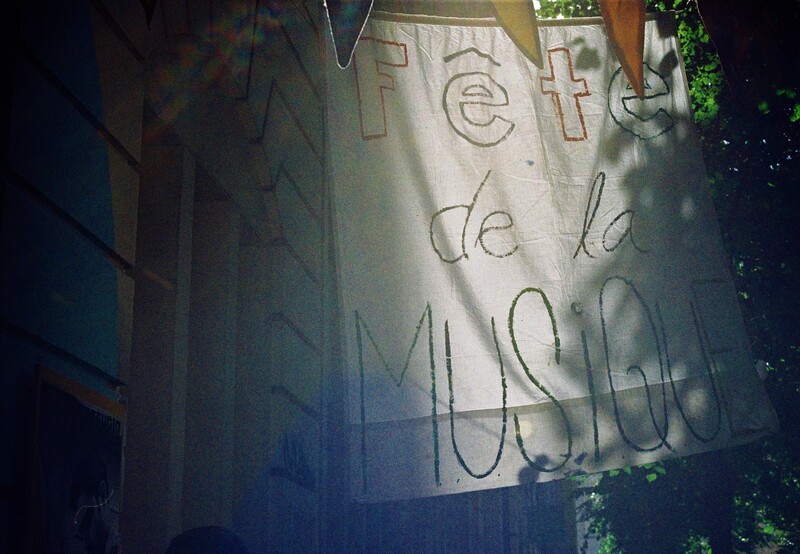 Sign for GSBTB’s Fete de la Musique at Refugio. Source: Abeera Atif. Pakistan undoubtedly has a very different political and social landscape than Germany. How do you think that affected your interests in migration and refugee politics? At the height of the Afghan refugee crisis, Pakistan was hosting around four million Afghan refugees. As with every country that hosts such a significantly large migrant population, the rhetoric was the same you hear all over Europe now. The unique similarities between the two situations is what really pushed me to write my Bachelor thesis about the weaknesses of the Geneva Convention (on the rights and status of refugees) but with a focus on the Afghan case. When I was in Pakistan, I was still very much part of the status quo and hence sheltered from all the polarizing discourse around migration – I had no idea what it would have felt like being the “other”. 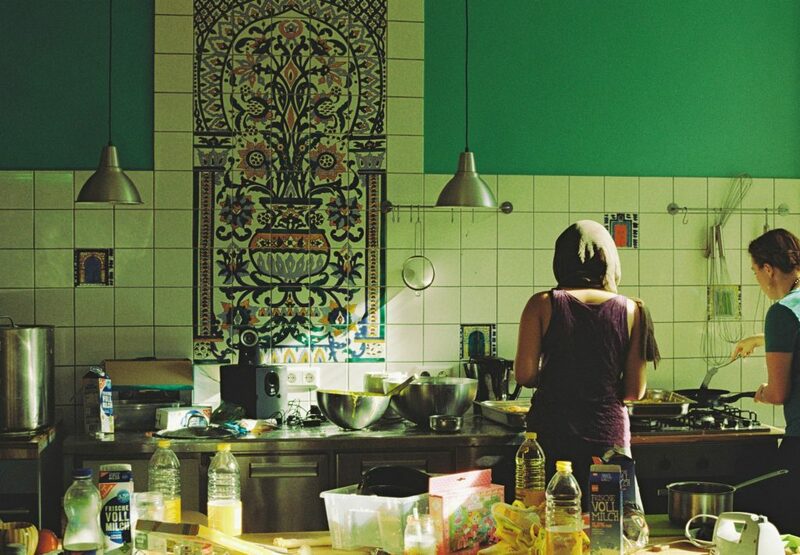 But when I came to Germany, I had my first taste of what being part of the “other” felt like. I am in the pool of privileged migrants, yet the experience of being a migrant in Germany has some parts that we share with those that do not have as many resources and means as us. That’s the thing that drove my interest in refugees and migration as a whole – when Germany let in a million refugees, the divisive nature of the discourse around Syria created a need to be empathetic and understanding without being patronising. We had a taste of this when a small refugee camp was constructed behind my university in Bremen. The subsequent projects that both the admin and student body created to welcome and integrate these refugees were actually quite GSBTB-like in nature – the self-organized projects included art workshops, football matches, community dinners, support groups aimed at women and children. Participating in our little “refugee support network” was perhaps the thing that solidified my passion for this field. You call yourself a “Pakistani feminist”. Can you tell us more about the scope of feminism in Pakistan and how you became interested in it? Pakistan is still one of the worst countries for gender equality – the society, institutions and laws are framed in such a way that the concept of a “woman” is linked to both religious and societal traditions. The woman is seen as a mother, sister or daughter instead of an individual with her own rights and autonomy. Because their stature is defined by linking it to their relationship with a man, the burden of “honour” and the onus of preserving it often falls on the woman – and I am talking about this from my privileged point of view, as a middle-class woman who has had the freedom to study and choose her own career path and the means to go abroad to do it. One cannot even begin to imagine how difficult women in rural environments or underprivileged families have it. In recent times, with the upsurge of feminist movements throughout the country, we’ve seen these traditional notions being challenged. Women spearheading movements to reclaim public spaces, attempting to empower those who don’t fit into the societal norms of a “modest” woman, speaking out against sexual harassment and making strides in both educational and work sectors – these are the women that inspire and embolden me today. They push me to make my voice heard and address inequalities and inequities wherever I see them. But there’s still a long way to go in Pakistan, and I intend to keep going until we achieve our goals. Thanks so much for talking with us. We’re glad to have you aboard our team!